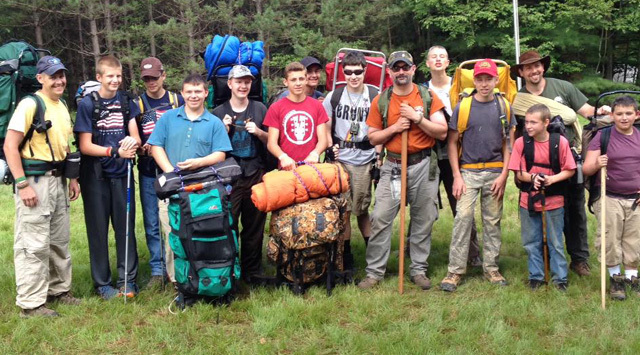 Since 1974, Grace Brethren Boys (GBB) has taught young men about Christ while engaging them in outdoor activities such as camping and hiking. First established in Kenai, Alaska, the ministry has been utilized by Grace Brethren congregations mostly in Indiana, Pennsylvania, and Ohio. In recent months, following years of thorough prayer, the ministry of GBB is undergoing a major overhaul — beginning with the name. Now dubbed Skywatchers, the organization is also under new leadership. Mark Abel, pastor of Southview Grace Brethren Church, Ashland, Ohio, has been encouraged by his congregation to guide the re-designed ministry as part of his regular pastoral duties. “We found that all-volunteer leadership [model] lacked accountability,” he notes. While the change was announced for the first time at Flinch Conference (the national conference of the Fellowship of Grace Brethren Churches), Abel says this is a transitional year. Still, God has been opening doors of ministry even while the Skywatchers board continues to fine-tune the program. Units affiliated with GBB are transitioning to the new focus. Some activities will remain the same, including two Outposts a year — one in the spring and one in the fall. Along with these annual outposts, Skywatchers will have a Winter Quarter in January, as well as a weeklong summer Rendezvous. The fall outpost of the Ohio District of Skywatchers was held at the Joy of Living Camp in Brinkhaven, Ohio. The 760-acre facility has often been the site of GBB programs in the past. With the new focus of Skywatchers, officials at Joy of Living Camp have indicated a desire to partner further, including constructing buildings to meet their programming needs. Skywatchers is designed for boys. The ministry also plans a similar track for girls, Gemseekers (which will be complimentary to an existing Grace Brethren ministry, SMM). They are the beginning roots of an umbrella ministry called “Keep An Eye To The Sky, Mission to America.” Abel says that the ultimate goal is to have a board comprised of pastors who have the Skywatchers ministry as part of their job description in their local churches. There are also plans to offer the program to local schools, many which are dropping life-skills classes, such as industrial arts or home economics, from their curriculums due to budget restrictions. Dan Hazlett, Skywatchers’ board member and long-time GBB leader, states their motivation is in becoming better stewards of God’s ministry. He says that renewed focus will be on digging deeper into God’s word and delving into more deliberate discipleship. Hazlett also notes that the name change gives the ministry opportunities with other churches not affiliated with the Fellowship of Grace Brethren Churches. Click here to send Mark a note of encouragement.